Please Note: If you are not familiar with using open proxies, be advised that they are generally broken, misconfigured, buggy, or HACKED systems, including botnet nodes and PC "zombies". The only thing you protect when using them is your IP address. It's a very bad idea to use open proxies for online banking, shopping, or anything that requires logon credentials, credit cards, or personally identifiable information. In fact, it may be illegal to use them in your country or state. If you must use an open proxy, use one located in a country other than your own. Yes, boys and girls, this list is for academic and educational purposes only. That is stated without tongue in cheek for your benefit and well-being. Times have changed, little ones. You cannot hide. By using a proxy you attract the attention of Powerful Forces™. The consequences will never be the same. Speed ratings reflect the time required to retrieve a random "proxy judge" test page and are meaningful only in relation to the testing system. Transparent proxies disclose your IP address to the remote Web site by using the "X-Forwarded-For" http header. Your IP address uniquely identifies you on the Internet. Giving it out freely is not a good idea if your motive is privacy. In reality, is often very likely that the remote site is actually only recording the transparent proxy's IP address and not yours, even though it's there for the taking. It depends on the site and the problem is you won't know it until it's too late to do something about it. Anonymous proxies do not disclose your IP address with the X-Forwarded-For header, but they do leave "tracks" in the form of an "Http-Via" header that could be used to trace back to your IP. High Anon proxies don't disclose your IP and don't leave tracks. These are by far the best to use for privacy reasons. But make sure you have a "Plan B" just in case. 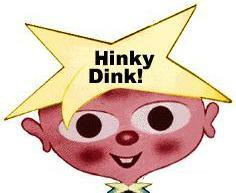 For that, Mr. HinkyDink recommends TOR. But be advised the Department of Homeland Security likes to run TOR exit nodes. CoDeeN proxies are not listed here. A text file containing all 2 tested CoDeeN proxies can be found here. A subset of this file containing 0 USA-only CoDeeN servers is available here. The remaining 2 non-USA CoDeeN servers are here. SOCKS proxies are only tested for HTTP access. They offer the best anonymity but are not supported on all browsers. Recommended for advanced users only. CHINESE proxies on port 9415: see this post on BlogSpot. CHINESE proxies on port 8909: see this post.